Review from BB website. DaFace, can you confirm the bolded part at the end and if true, why continue to wait for the Asus for an unknown number of months still? The review makes it sounds like it's pretty much the same tablet. Nvidia Tegra 2 is going to become the standard cpu to power all tablets for some time to come. 1 GB RAM is currently the highest amount in any tablet as well. In terms of hardware, Iconia does everything that Xoom does, with arguably better software (SD and Flash support out of the box). Honeycomb, or Android 3.0, was designed specifically with tablets in mind. Without ranting off of every single spec users may see on Best Buy's webpage above, here are a couple of questions that are not addressed yet. 1. True multi-touch. There are some tablets with similar specs (e.g. eLocity A7) out there with capacitive screens that claim to be "multi-touch" when in fact they only support "1+1 touch", which is used for pinching and zooming only. 1+1 touch has very little practical uses as far as gaming and other more advanced apps are concerned. Acer Iconia has true multi-touch. 2. Access to Android Market. Some tablets with similar specs (e.g. Viewsonic g Tablet) do not come with ready access to Android Market. Unfortunately this is more of a problem with the Android platform overall. But this is one of the trade-offs you get choosing between iOS (iPad) and Android-based tabs: uniform controlled experience versus customization. 3. Regular LCD screen. Capacitive screens for the most part fall in to two camps. One camp uses IPS (in-plane switching) LCD (e.g. iPad 2 and Asus Eee Pad Transformer), which gives greater viewing angles (~178 degrees) and more vibrant pictures. The other uses just regular LCD for about 160 degrees viewing angle. Acer Iconia uses the latter rather than the IPS LCD. Chalk this one up as a minor con. 4. Lastly, no word yet on whether or not it is possible to root Acer Iconia so that if you aren't happy with the firmware, you might very well be stuck with it and are at the manufacturer's mercy. And for those who are confused by the A500's twin, W500, the ONLY difference is that A500 uses Android, and W500 uses Windows 7. So if you would rather have a Windows 7 based version of this tablet, you do have a choice. Maybe not through Best Buy though. 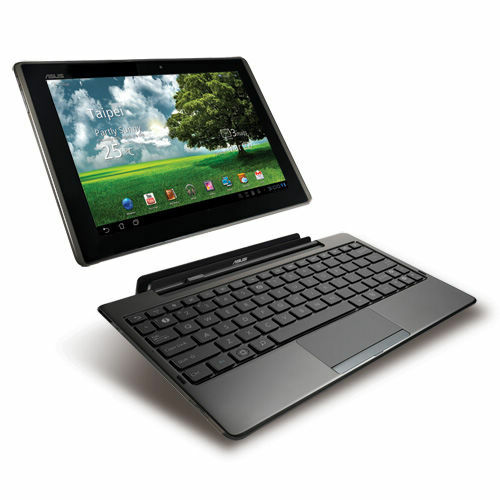 Finally, for comparison purposes, Asus EeePad Transformer is basically identical to Acer Iconia in terms of hardware. The only difference in between the two are type of LCD screen, and battery life. EeePad Transformer's battery life is estimated to be somewhere around 9.5 hours, longer if keyboard docking station's used. Acer Iconia's top range is somewhere around 8 hours. What's great about it: Customization, powerful hardware, front-and-back cameras, price and value. Honestly, I haven't dug into a lot of comparisons thus far, but it wouldn't surprise me if they're using largely the same hardware. Honestly, my main preference for the ASUS is a bit of fanboism. I've used ASUS motherboards for nearly a decade and have always loved them. My wife owns an ASUS laptop. I just like the quality of their work. Acer's always been kind of meh to me, but I couldn't tell you why. If you're not worried about the battery life and the dock, you're probably fine either way.